#ThrowBack to this post, where I told you all how to take videos secretly – this is something quite similar, but, we would be working with pictures instead! Ever wanted to take a secret selfie? or you want to take a picture of someone while ensuring he/she remains oblivious? Or let’s say you want to capture a moment (probably a friend fooling around) without him suspecting a thing? Today is your lucky day as there is an app that allows you take pictures secretly on Android devices ( Come to think of it, there is an app for everything these days). Introducing Quick Camera, the app that allows you take pictures secretly without anyone suspecting a thing! How does it work? Easy Breezy! 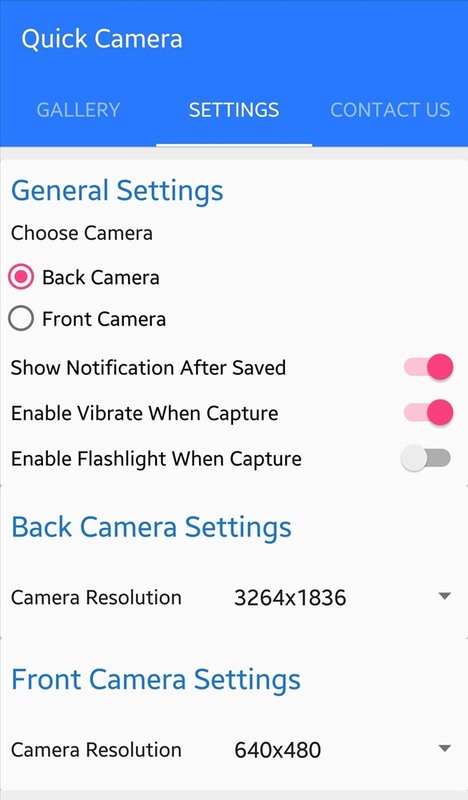 If you have enough data, go ahead and install Quick Camera – Hidden Camera using this link, it is free by the way and 3.2mb in size. After installing the app, launch it and get ready to set it up – navigate to the settings panel and set it up according to your preference. And that is it my friends! To secretly take a picture navigate to your app drawer, and click on the “Take Photo” app icon and dassol! your pictures would be taken without launching anything or even a sound made! Easy as ABC yeah? I can just picture moments when this app can be useful *evil grin*. How To Run Two Instagram Accounts On One Phone. This TimeShift Game Has Joined the List of Android/iOS Games I Love!